Richard L. M. Synge or Richard Laurence Millington Synge was an English biochemist who received the Nobel Prize in chemistry in 1952. This biography provides detailed information about his childhood, life, research, achievements and timeline. Richard L. M. Synge or Richard Laurence Millington Synge was an English biochemist who received the Nobel Prize in chemistry for the invention of the method for separating the constituents of a mixture of chemical compounds by a process known as liquid-liquid partition chromatography which included paper chromatography also. He shared the prize with another English chemist, Archer John Porter Martin who collaborated with him to create this process. 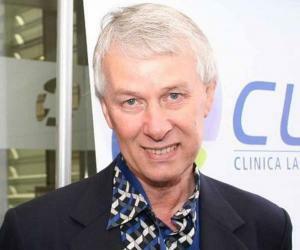 He spent his entire career in research working at various institutes during his life-time. The development of the liquid-liquid paper-partition chromatography technique was hugely appreciated by both the academia and the industry as it paved a new way to separate a compound into its constituent elements purely and cleanly which had hitherto been impossible. Synge had a great memory and was fluent in Russian, German and Swedish and was very well organized in his daily life. Being a stockbroker’s son he had a command over financial matters and was strict about audits and accounts and always politely demanded accuracy in everything. He was very knowledgeable about the railway system and train timings. During his Cambridge days he had come into contact with anti-war and anti-fascist movements which had a great influence on him throughout his life. Richard L. M. Synge was born in Liverpool, England on October 28, 1914. His father, Laurence Millington Synge was a stockbroker and his mother was Katharine Charlotte Swan. He had a sister named Anthea. He did his initial schooling from ‘Old Hall’, a prep school in Wellington. 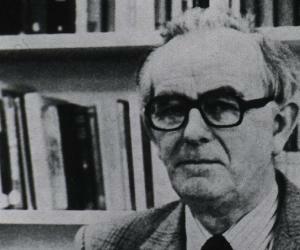 He joined the ‘Winchester College’ in Winchester, UK, in 1928 and mainly studied classics up to 1931. He then changed over to natural sciences and studied science subjects till 1933. He earned a ‘Classics Scholarship’ to study natural sciences at the Trinity College from here. He joined the ‘Trinity College’ under the ‘Cambridge University’ in 1933, studied physics, chemistry, physiology for the ‘Natural Sciences Tripos’ Part I up to 1935 and then biochemistry for the part II portion up to 1936. He received his bachelor’s degree in 1935 and his master’s degree in 1936 with a double First and was accepted as a research student. 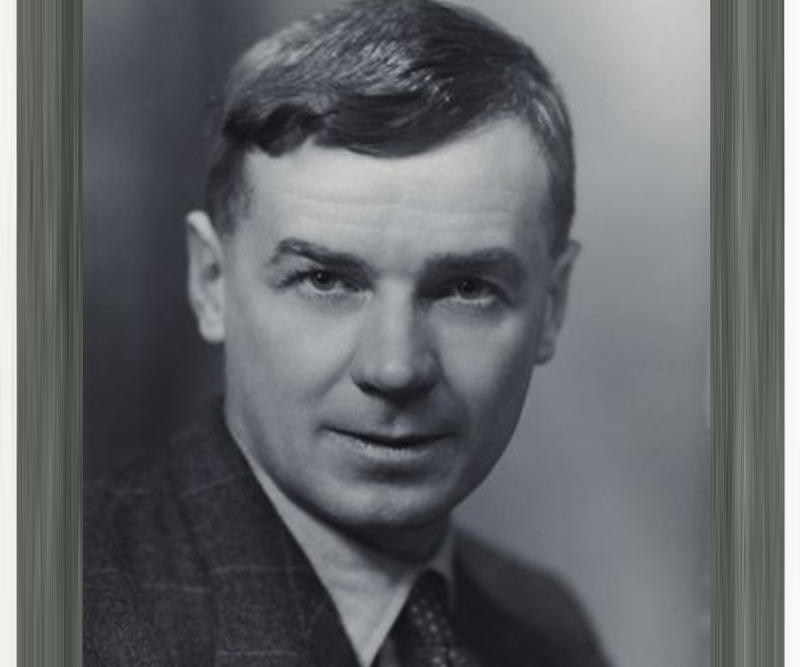 From 1936 to 1939 he worked as a research student at the ‘University Biochemical Laboratory’, which was headed by Sir Fredrick G. Hopkins, under the supervision of N. W. Pirie. He earned his PhD from the ‘Trinity College’ in 1941. Richard L. M. Synge worked at the ‘Wool Industries Research Association’ under the ‘British Textile Technology Group’ from 1939 to 1943. There he met Archer J. P. Martin who was already trying to build an apparatus that could be used for chromatography. Synge and Martin together built an operational apparatus with which they developed the technique of separating the constituents of closely related chemicals such as amino acids which could then be studied further. Synge and Martin gave a demonstration of their work to the ‘Biochemical Society’ on June 7, 1941 at the ‘National Institute for Medical Research’ in London. Synge and Martin were especially successful with their development of the paper-chromatography technique which was used later by Synge to find out the exact structure of a molecule of the protein ‘gramicidin S’. This technique was used by Fredrick Sanger, an English Biochemist, to find the structure of insulin later. He joined the ‘Biochemistry Department’ of the ‘Lister Institute of Preventive Medicine, London’ in 1943 and worked there under W. T. J. Morgan till 1948 exclusively on the antibiotic peptides of the ‘gramicidin group’. He spent eight months during 1946-1947 at Uppsala with Professor Tiselius in the study of applying adsorption methods to the above compounds. From 1948 to 1958 he was with the ‘Rowett Research Institute’ at Bucksburn, Aberdeen, as the Head of the ‘Department of Protein Chemistry’. He worked here on the digestion of proteins by animals, associated micro-organisms, proteins, peptides and other components. In 1950 he worked with A. Tiselius and D. L. Mould on the ‘electrokinetic ultrafiltartion’ of various ‘polysaccharides’. 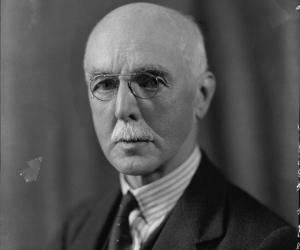 In 1952 he was made the treasurer of the ‘Chemical Information Group’ of the ‘Royal Society of Chemistry’. He worked with E.P. White at the ‘Ruakura Animal Research Station’ in Hamilton, New Zealand, from 1958 to 1959 on the isolation of the toxic fungal component of ‘sporidesmin’. He returned to the ‘Rowett Research Institute’ in 1959 and was with the institute up to 1967. 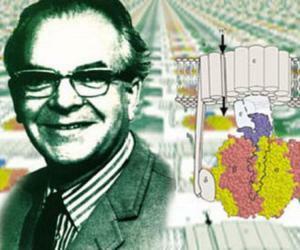 He was associated with the ‘Institute of Food Research’ in Norwich from 1967 to 1976 as a biochemist. He retired from the ‘University of Anglia’ where he was a ‘Professor of Biological Sciences’ from 1968 to 1984. Synge and Martin published the results of their work on paper-partition chromatography in the ‘Biochemical Journal’ in 1941. He collaborated with Archer Martin in writing the book ‘Separation of Higher Monoamino-Acids by Counter-Current Liquid-liquid Extraction: The Amino-Acid Composition of Wool’ which was published in 1941. Richard L. M. Synge was made a member of the ‘Royal Society’ in 1950. He received the Nobel Prize in Chemistry in 1952. He won the ‘John Price Wetherill Medal’ in 1959. He became a member of the ‘Royal Society of Edinburgh’ in 1963. He was made a ‘Foreign Member’ by the ‘American Society for Biochemistry and Molecular Biology’. He was an honorary professor of biological sciences at the ‘University of Anglia’ from 1968 to 1984. He married Ann Stephen in 1943 and had four daughters, Jane, Elizabeth, Charlotte and Mary and three sons, Matthew Millington, Patrick Millington and Alexander Millington from the marriage. He suffered from gout, temporal arteritis and myelodysplasia in the later years of his life. Richard L. M. Synge died in Norwich, Norfolk, England on August 18, 1994. Richard L. M. Synge was a peace activist and a supporter of nuclear disarmament from his early days in Cambridge University. He signed the ‘Pugwash Declaration’ during the ‘Pugwash Peace Conference’ held in Warsaw, Poland, in 1982. He was obsessed with Hiroshima and Nagasaki and never forgave Henry Truman or the Us for developing and using the atom bomb. He was ably supported by his wife in all his peace initiatives. Richard L. M. Synge loved to travel by rail and wrote articles occasionally for the magazines run by rail enthusiasts. One of his lab assistants at the ‘Lister Institute of Preventive Medicine’ was Margaret Roberts who later became Margaret Thatcher, the Prime Minister of the United Kingdom.